NOVAGard Green® Anti-Parasite is a spot-on for dogs and the natural alternative to chemically synthesized products. The innovative formula does not wash out while bathing or swimming. The product can be used against various ectoparasites such as ticks, fleas, mites, lice, hair pieces and mosquitoes. For complementary use in the animal environment (for example at the sleeping place) we recommend NOVAGard Green® combi spray! 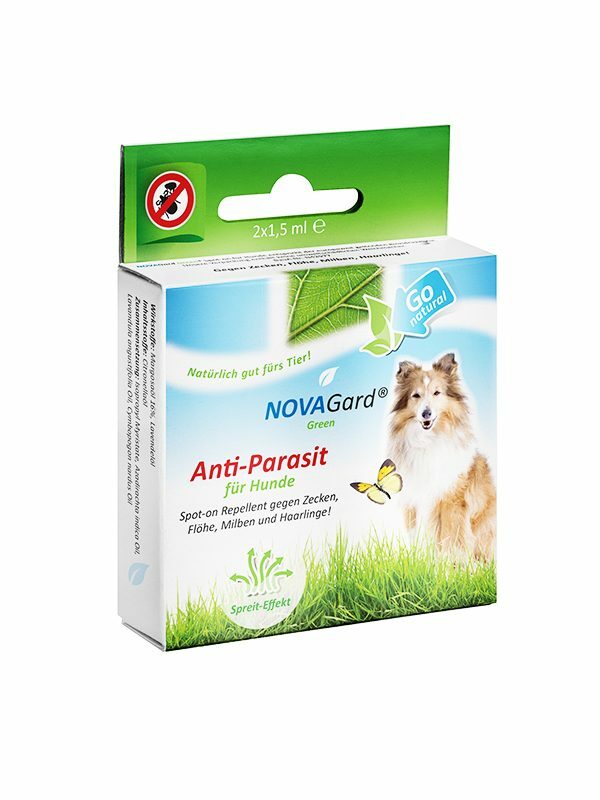 NOVAGard Green® Anti-parasite for dogs contains 16% pure natural margosa oil. It is won gently in a special procedure. Modern scientific studies have proven the protective effect that has been known in Asia for centuries against ectoparasites such as ticks, fleas, mites and many more. also unfolds a repellent effect and thus enhances the effect of Margosaöls. a minimal amount of citronella oil, as a fragrance component, gives the product a pleasant note without being obtrusive. 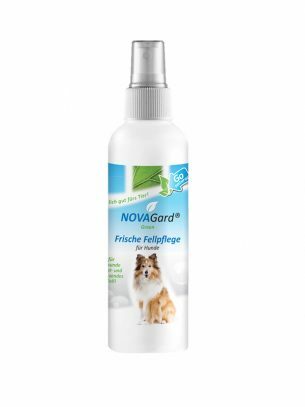 As a carrier, NOVAGard Green® Anti-Parasite for Dogs contains a nature-identical oil with a waxy consistency, which makes the ripening oil of waterfowl similar to the self-distributing product in the upper layers of the skin. 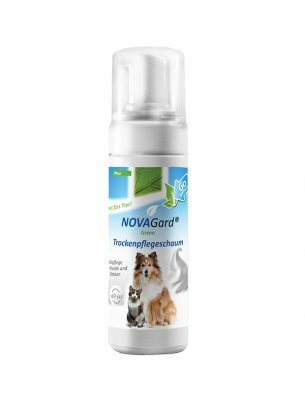 NOVAGard Green® Anti-parasite for dogs therefore does not wash out and acts evenly as the skin renews. 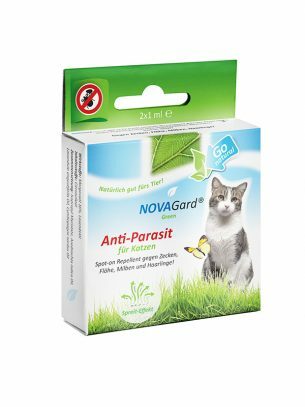 NOVAGard Green® Anti-Parasite for Dogs complies with the current European Biocidal Products Directive. 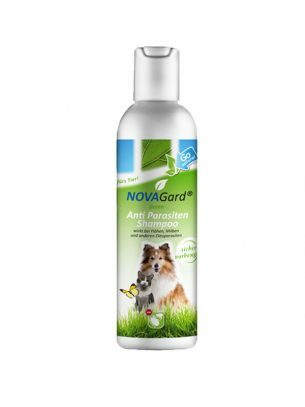 NOVAGard Green® Dog Anti-parasite is applied directly to the skin around the tail base and between the shoulder blades after parting the hair. There is a total of one ampoule applied. Half of the ampoule should be applied between the shoulder blades and the base of the tail. For larger dogs (from approx. 20 kg) two ampoules can be applied in one application as required. The liquid absorbs itself automatically and spreads itself over the body of your animal. After 24 hours at the latest, the product will not be washed out by contact with water while swimming or raining. Regularly the product works over a period of 3-4 weeks.